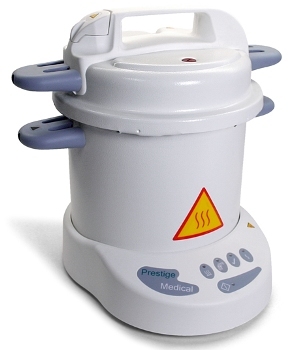 The prestige medical classic portable dental autoclave is a compact and portable sterilizer. It is easy to operate and takes 18 min for a sterilization cycle (23 min total cycle time). Only 6 minutes is taken to reach the sterilization temperature. The sterilization temperature is 121°C (250°F).